Deep in the bowels of the Oklahoma State Penitentiary, the execution chamber is a stark and sterile place. The area is small. One room is curtained off for media and other witnesses; another for prison staff and the executioner, and the third room, complete with a hospital bed, is where the condemned go to die. Right now, the chamber is empty. It hasn’t been used much, since the state tried unsuccessfully to execute Richard Glossip, earlier this year. But for years, the chamber was busy. Since 1915, the Oklahoma Department of Corrections has killed a total of 191 men and three women. Most of those died by lethal drug injection, eighty-two were electrocuted and one inmate, a federal prisoner, was hung. Oklahoma, it seems, has embraced capital punishment. Indeed, execution remains popular here in the Sooner State. A new poll shows that support at 69 percent. However, over the past two years, Oklahomans have started to change their mind. Consider this: the same survey that shows 69 percent of Oklahomans continue to support the death penalty also shows that in just a little more than 12 months, opposition to the death penalty in Oklahoma has doubled—from 12 percent in 2014 to more 24 percent in 2015. In addition, less than half—49 percent—now say they ‘strongly’ favor state-sponsored executions, according to a survey sponsored by the state’s largest newspaper, The Oklahoman. A second poll, released on Nov. 19, showed that more than half of Oklahomans—52 percent—support the idea of sentencing those who would normally receive the death penalty to a sentence of life without the possibility of parole, instead. Part of that reason could be the increase in the number of criminal cases nationwide that are later exonerated by DNA evidence. Data from the American Civil Liberties Union shows that as of September 2011, 273 people including 17 Oklahoma death row inmates have been exonerated by use of DNA, or Deoxyribonucleic acid, tests. “The increasing use of DNA testing to help confirm the innocence or guilt in capital cases is one among many reforms that will help ensure that innocent people are not sentenced to death,” the ACLU report said. As more convictions—once considered ‘rock solid’ by prosecutors—are overturned by DNA testing, public confidence in the death penalty erodes. A second factor could be Oklahoma’s system of execution. Last year’s bungled execution of Clayton Lockett and the failed attempts by state officials to legally obtain the proper drugs for its ‘three drug cocktail’ to execute prisoners have continued to chip away at public confidence in our system of capital punishment. Today, Oklahoma’s death penalty is on hold due to an indefinite moratorium; a grand jury is investigating possible wrongdoing by state officials in their rush to take the lives of the condemned. One state lawmaker says the problems have caused Oklahomans to wake up to the serious issues faced when the state tries to kill prisoners. 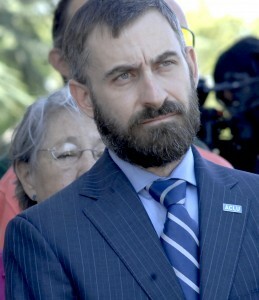 Johnson has long sought to abolish the death penalty. She speaks from personal experience. In February 1981 her baby brother, John Kevin Johnson, was shot and killed. John Kevin Johnson was a student at Langston University. In 2009, Johnson filed legislation that would have placed a moratorium on future executions in the state. Her bill wasn’t heard. But Johnson, like many others, refused to give up. Now retired from public service, she has, nonetheless, continued her push to abolish capital punishment in Oklahoma. In September Oklahoma Governor Mary Fallin stayed the execution of Richard Glossip, after corrections officials admitted they had received the wrong drugs for Glossip’s execution. That stay came more than an hour into the time Glossip was scheduled to die. Glossip, wearing nothing but his underwear, waited in the cell just steps from the death chamber for the state to end his life. At the same time, information surfaced that showed state corrections officials had ‘briefly considered’ using the wrong drugs for Glossip’s execution. At that point, Oklahoma Attorney General Scott Pruitt asked the Oklahoma Court of Criminal Appeals to stop all future executions until an internal investigation could be completed. The stay will effectively delay executions until late in 2016, a pause that pleases Connie Johnson. “It took several years, but we’ve stopped the clock for a while,” she said. That pause not only extends the life of Glossip and Oklahoma’s other condemned inmates, but it gives opponents of the death penalty more time to make their case to the public. Nationwide – and in Oklahoma – opposition to the death penalty continues to grow. This year, the website ThinkProgress analyzed the tenure of the late Bob Macy, the cowboy prosecutor who served as District Attorney for Oklahoma County from 1980 until 2001. 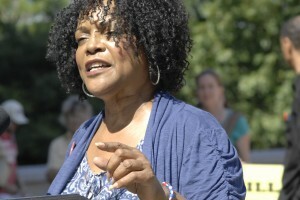 Macy served as DA between 1980 and 2001. He won 54 death sentence convictions during his time in office. “He would (make) inflammatory arguments and routinely withholding exculpatory evidence,” said David Autry, an Oklahoma County public defender quoted in the ThinkProgress article. Macy also relied heavily on Oklahoma police chemist Joyce Gilchrist to provide expert analysis and testimony. Gilchrist participated in more than 1,700 of Macy’s cases. That report and public pressure forced Macy to retire in 2001; however many of the men Macy condemned to death row, including Glossip, remain there. Like Connie Johnson, Bud Welch, a lifelong opponent to capital punishment, has standing to argue against killing the condemned: his daughter, Julie, was one of the 168 Oklahomans killed when Timothy McVeigh bombed the Alfred P. Murrah building in Oklahoma City. 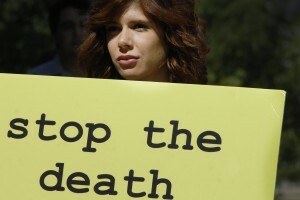 Despite his loss, Welch remains committed to ending state-sponsored killing. Welch has stepped away from the spotlight, but he continues his fight to abolish the death penalty and advocate for increased mental health services. Instead of the lengthy and expensive process of taking a human life, Welch said the state should redirect its resources to better mental health services for both the offender and their victims. And even though the country continues to impose capital punishment, America, Welch said, still has the highest murder rate of any country on earth. Still, Welch—like Johnson—remains optimistic, predicting that one day soon the death penalty will be overturned. Though public opinion is shifting, it's doubtful that the conservative majority in Oklahoma’s legislature will roll back the state’s death penalty statutes this session. Instead, some experts believe the courts may beat the legislature to the obvious conclusion that the system of capital punishment is inherently broke and stands an as affront to any modern criminal justice system. But that’s not to say the political will to change the system is immovable, since Oklahomans, by their very nature, remain skeptical about their state and federal government. 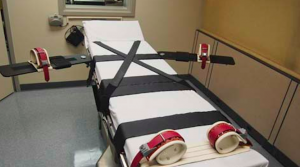 Perhaps, now it’s time to focus that skepticism on Oklahoma’s system of capital punishment. But ending the process won’t be easy.